Last week I picked up several packets of seeds to germinate this summer (see my summer project lest in the sidebar?) and it made me realize how absolutely delightful I find seed packet design. I have a particular fondness for seed packet designs that have varied little since their first conception. These vintage seed packets are so lovely, aren’t they? My favorite is probably the Verbena design. So beautiful! While we were in France I purchased a couple seed packets from a little village that boasted a most magnificent herb garden. The village had been around since the 1300s I believe! C’est merveilleux! The seeds I got to germinate for planting later this summer season (or I may pot them before I transfer them next Spring…) include Bachelor Buttons, Savory, Larkspur, Dill, English Thyme, and a Peony Poppy. I’ve never germinated seeds before, so hopefully it all goes well! 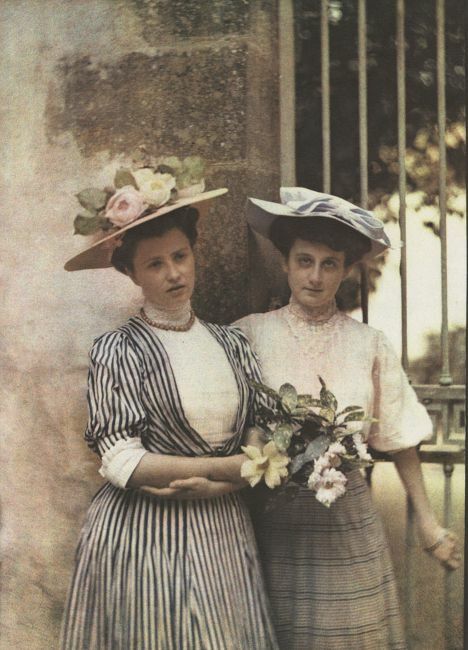 Our vintage inspiration for this week are the girls of Autochrome Lumière photographs. 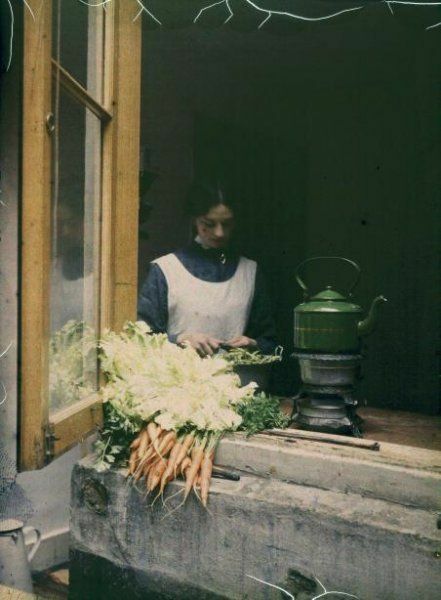 You’ve probably seen these beautiful photographs floating around the internet, noted with a caption that says, “autochrome”. What does that mean? 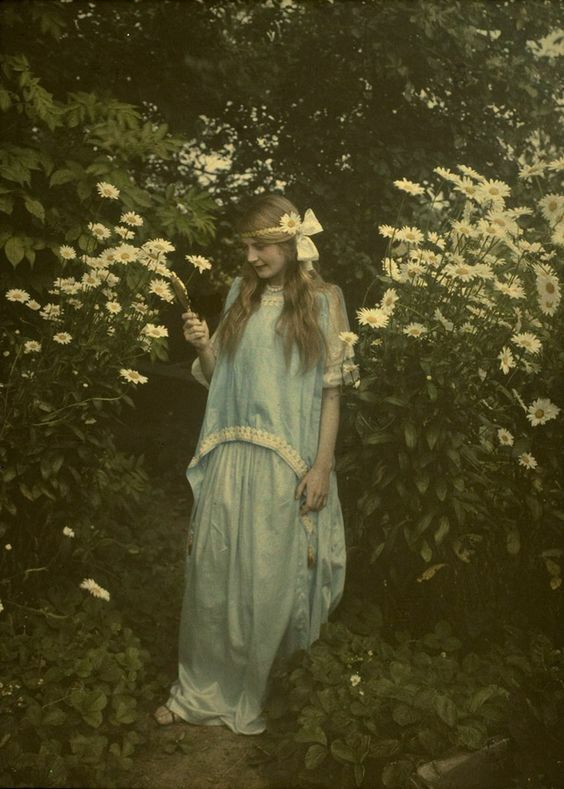 Just in case you didn’t know what Autochrome Lumière is, it simply is a type of mosaic photographic process, made on a glass plate, that existed before subtractive color film (which is now commonly used). 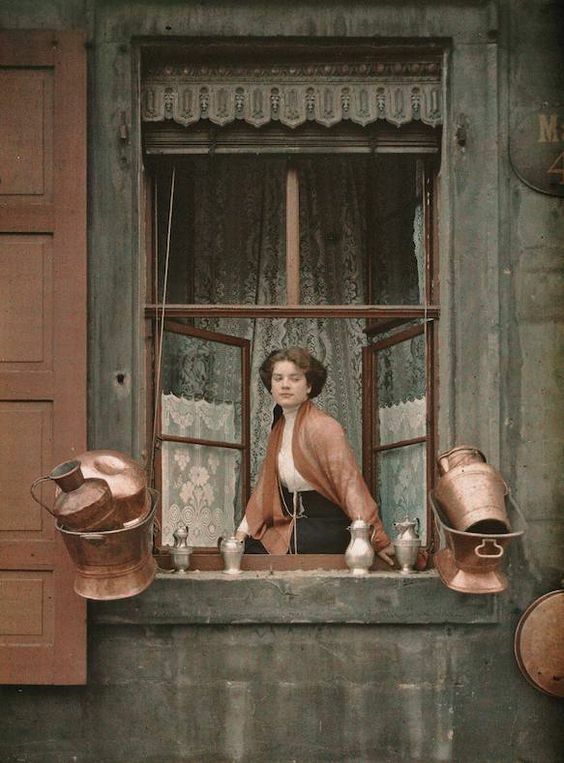 It was made by a couple french men, the Lumière Brothers, in 1903. 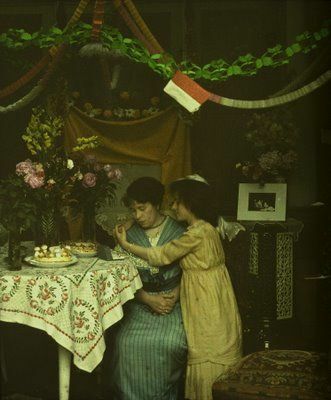 There is something so special about autochrome photographs. They have such interesting color and a slight haze. They look like paintings, or maybe even dreams. They definitely make images seem other worldly, and because it was produced and used for such a short time, many of them are from the early 1900s. 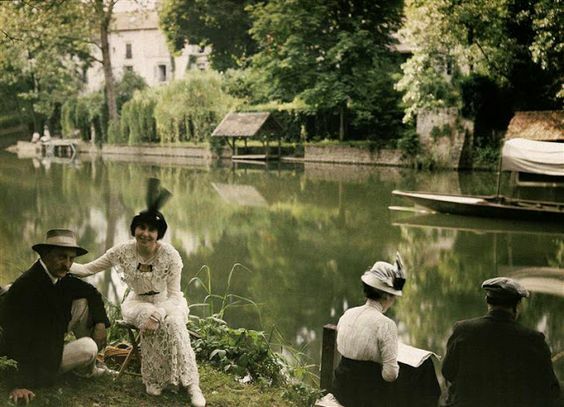 I feel like it’s because of these autochrome images, that I have such a romanticized view of this era. Of ladies in (what we now we consider) antique clothing just peacefully existing in their world. This above photograph is probably one of my favorite I have come across. Have you ever heard of Albert Kahn’s Archives of the Planet? In 1909, Kahn sent out photographers to photograph the people of 50 different countries. The project took place over the following 20 years. 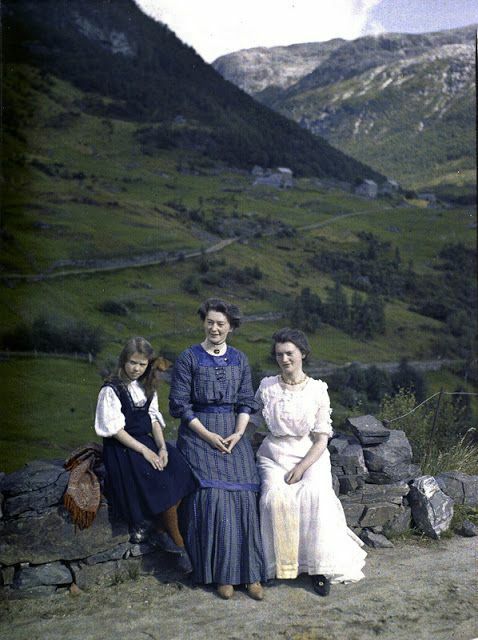 Many autochrome photographs now come from that collection. Do you still give away Valentines? I haven’t in a long time. And mostly because, I haven’t made any since I was little! I typically just give away flowers. I was looking through (trusty ol’) Pinterest for vintage Valentine inspirations and came across these beauties. They’re actually antique Valentines, from the 17th and early to mid 18th century! 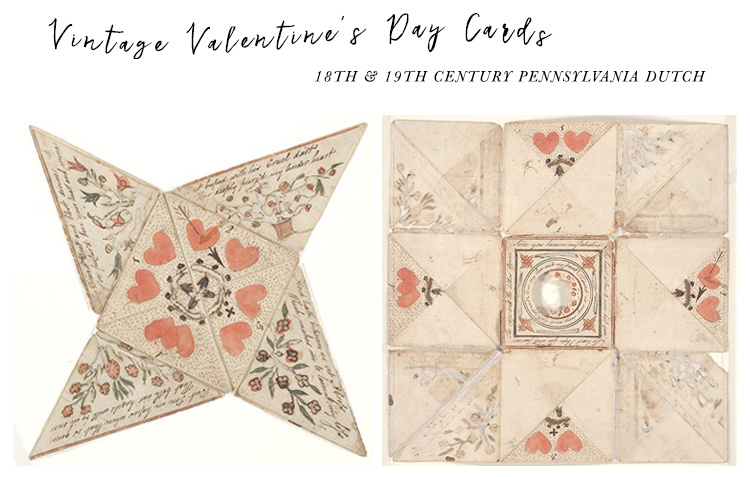 These Valentines are Fraktur folk art Valentine love letters created by German-speaking immigrants who lived in Pennsylvania. Hallmark, shmallmark, right? They’re so intricate! All water color painted and written with calligraphy. They’re folding cards, also “Puzzle Purses”, and typically have words of affection and love written throughout that get discovered with each unfold. There are a bunch of editorials on making these online! Maybe we’ll find one to post on our Facebook before Valentine’s Day. Some even put confetti or little treats inside! We love seeing things in collections. Sometimes I feel like seeing things with other things somehow gives it so much more meaning, it seems a story is created. So, we decided to put together a collection from our Instagram! 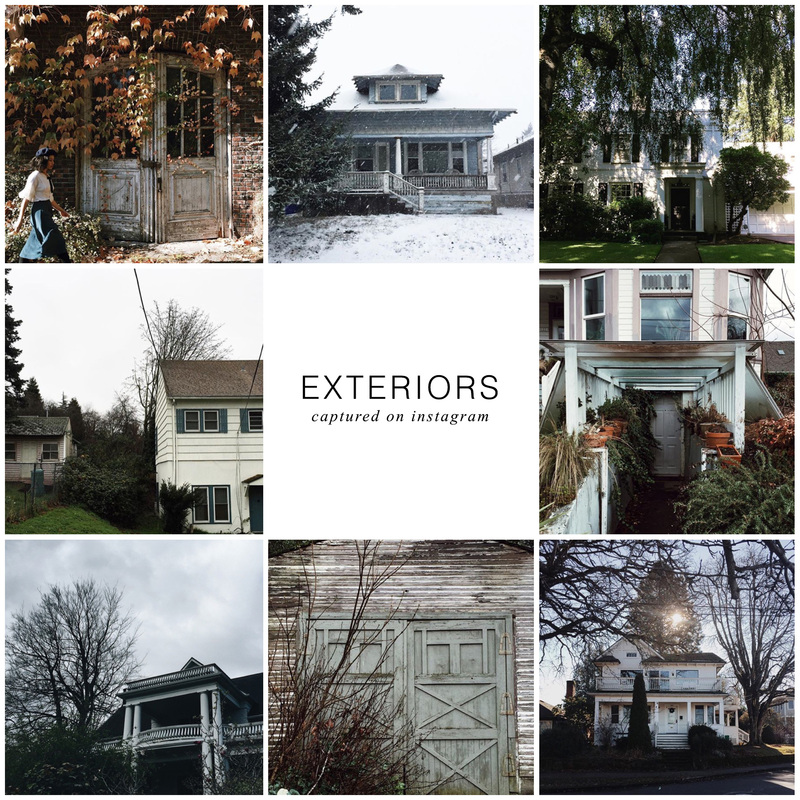 This collection is exteriors! Houses from around our beautiful city, Portland, to be exact. Portland is filled with so many charming houses. It’s one of the things I first fell in love with about this town. If you know Adored Vintage, you know that we love old homes as much as old clothes. Just like clothes, they have so much time and history. I always wonder about the secrets an old house holds. If you don’t follow our Instagram, our account name is @adoredvintage! We post there daily, and there you can see even MORE photographs of beautiful old structures. When looking at an 18th century painting the other day, I realized the flower sash it featured had all of Pantone’s 2016 colors in it. Somewhat inspired by Movies in Color, we decided to put together a little graphic showing the color palettes from 17th-19th century paintings of ladies and flowers. I find it amazing that after all these hundreds of years, art such as this is still so relevant. We as a society are still able to pull so much inspiration from these paintings. I know I do.